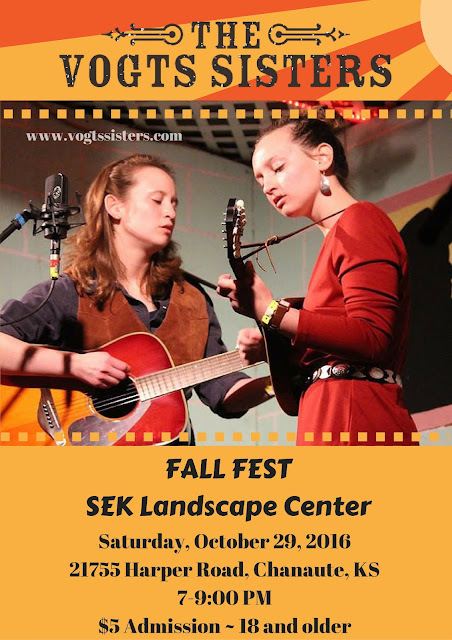 Join us this Saturday for a Fall Fest at SEK Landscape Center in Chanute, KS. Drinks and a Food Truck serving street tacos, games, hay rack rides, and music with plenty of outdoor seating. This is an 18 or older event with $5 admission, beginning at 6:30 PM. Music from 7-9:00 PM. Learn more HERE.